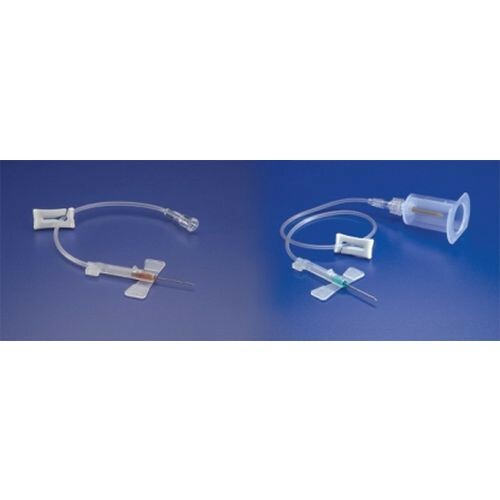 Safe-T Wind Blood Collection Set by Smiths Medical is one of many blood collection sets, such as the BD Vacutainer Push Button Blood Collection Set that is sterile with a winged grip. It comes with tubing that measures 12 inches and contains a safety needle. It is a luer adapter type, 21 gauge (982112), 23 gauge (982312), and measures 3/4 inch.